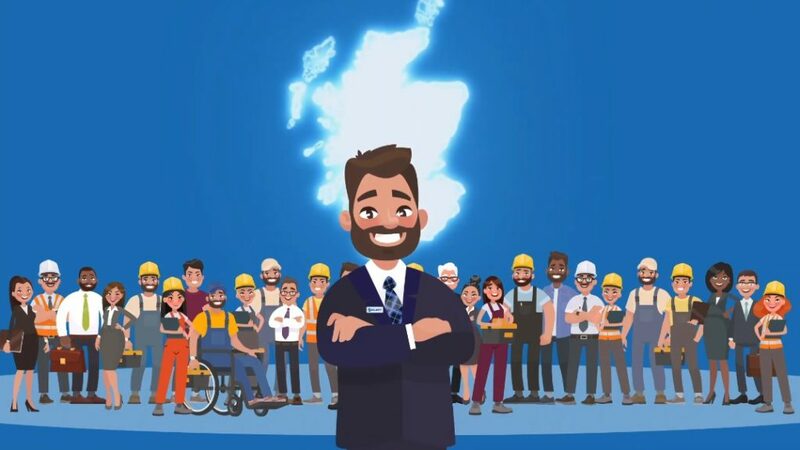 An animation which showcases the journey to become a fully qualified electrician has been developed in partnership between SELECT and the Scottish Joint Industry Board (SJIB). The animation covers the electrician starting their career as an apprentice right through to them becoming a company owner. Brought to life by animators at Connect Communications, it is designed to be screened at events and conferences to explain the career choices available in today’s fast moving electrotechnical industry. SELECT’s “Wall of Support” for this campaign has gathered backing from across politicians from all parties as well as industry bodies representing surveyors, housebuilders, professional bodies and trade unions. Crucially, the new film details milestones – such as SJIB grading and FICA accreditation – that an apprentice will pass along the way. Alan Wilson, Acting Managing Director of SELECT, said: “Consumers deserve the assurance of knowing that any electrical work carried out in their home will be completed safely and to the highest industry standards”.